Fiat Chrysler Automobiles is set to unveil its latest five year plan on June 1st and it should provide us with plenty of tantalizing new details. Unfortunately, FCA has a history of using its five year plans to announce exciting new models only for them to be killed off, forgotten or placed on the back burner. With the company’s big announcement scheduled for Friday, he’s a look back at some of the interesting models the company has promised but hasn’t delivered. In 2014, Dodge unveiled a performance-oriented five year plan which called for an all-new Dart SRT. Set to become the spiritual successor of the Neon SRT-4, the model was slated to feature a high-output turbocharged engine and all-wheel drive. 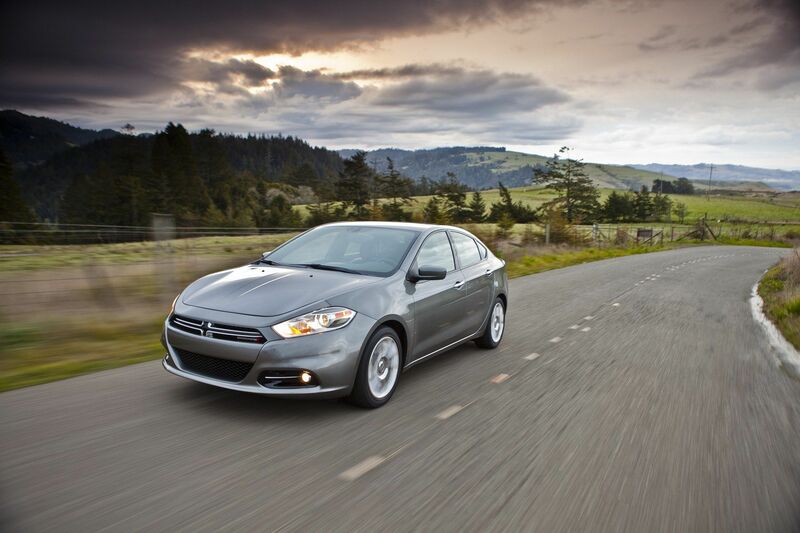 The car was set to be launched in late 2016 but that never happened as Dodge decided to drop the Dart altogether. Besides the Dart SRT, Dodge announced plans to introduce redesigned versions of the Charger and Challenger in 2018. That’s not happening but both models will receive minor updates this summer. Maserati introduced the stunning Alfieri concept at the 2014 Geneva Motor Show and the company announced plans to build a production model a few months later. Scheduled to arrive before 2018, the Alfieri coupe and cabrio were slated to have a V6 engine with outputs of 410 PS (301 kW / 404 hp), 450 PS (331 kW / 444 hp) and 520 PS (382 kW / 513 hp). 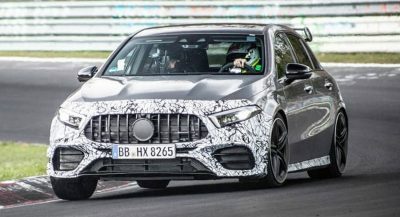 The entry-level variant would be rear-wheel drive while the more powerful models would be all-wheel drive. 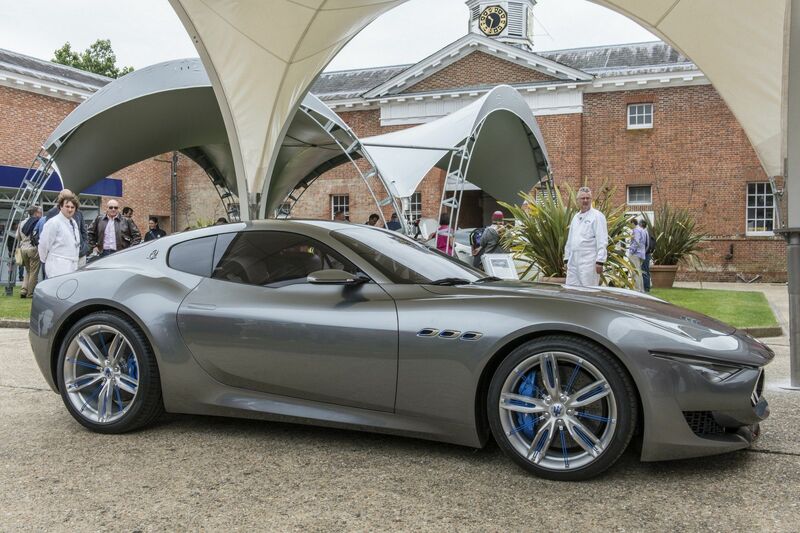 The Alfieri is still missing in action and so is the new GranTurismo which was scheduled to debut around 2018. FCA said that particular model would be rear-wheel drive and have a V8 engine with over 560 PS (411 kW / 552 hp). Jeep basically prints money for FCA so the company has devoted significant resources to the popular brand. 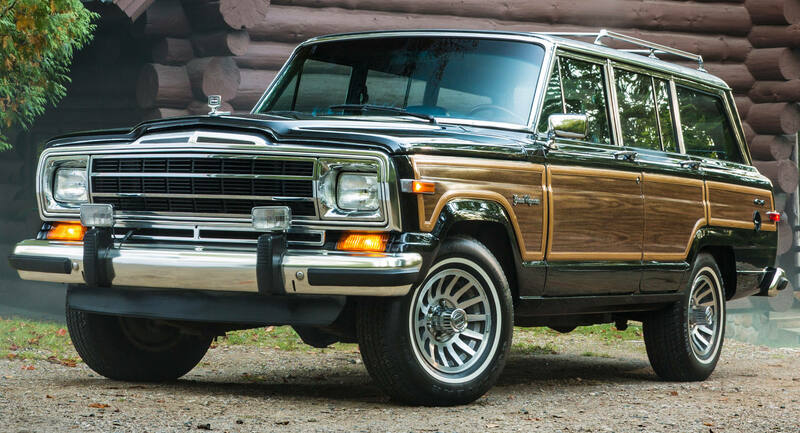 However, the automaker still hasn’t delivered a new Grand Wagoneer despite revealing plans for the model back in 2011. The Wagoneer was slated to be launched in 2014 but the company’s second five-year plan pushed the introduction back to the third quarter of 2018. The full-size SUV was scheduled to arrive one year after the redesigned Grand Cherokee debuted in 2017. Both models still haven’t been unveiled but rumors have suggested they’re finally coming next year. Chrysler’s lineup is looking pretty bleak these days as the company only offers the aging 300 and the well-received Pacifica. 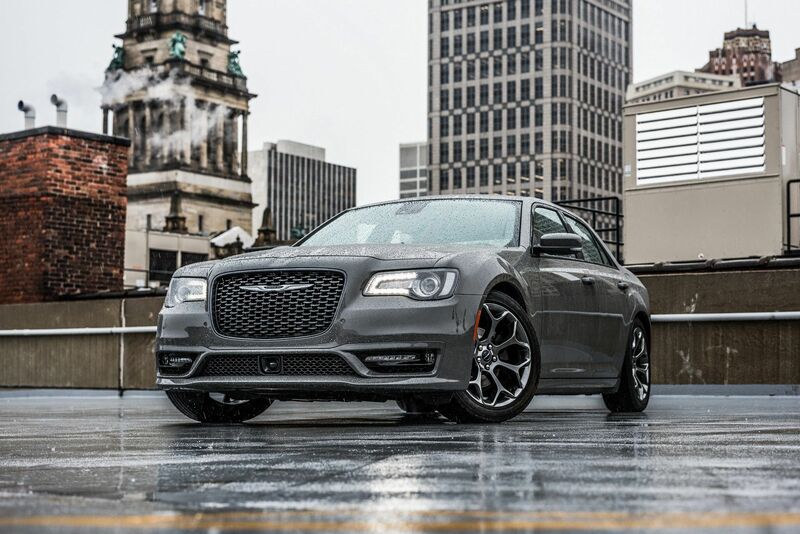 FCA once had grand ambitions for the brand as Chrysler was set to receive an entry-level 100 sedan in 2016 and two new crossovers. The larger of the two crossovers was slated to be launched in 2017 and be offered with a plug-in hybrid powertrain. A year later, the company was going to introduce a mid-size crossover and a new 300. Alfa Romeo’s comeback hasn’t been a stunning success and part of this is due to a limited lineup. This wasn’t supposed to be the case as back in 2014, FCA was promising to introduce at least seven models by the end of 2018. 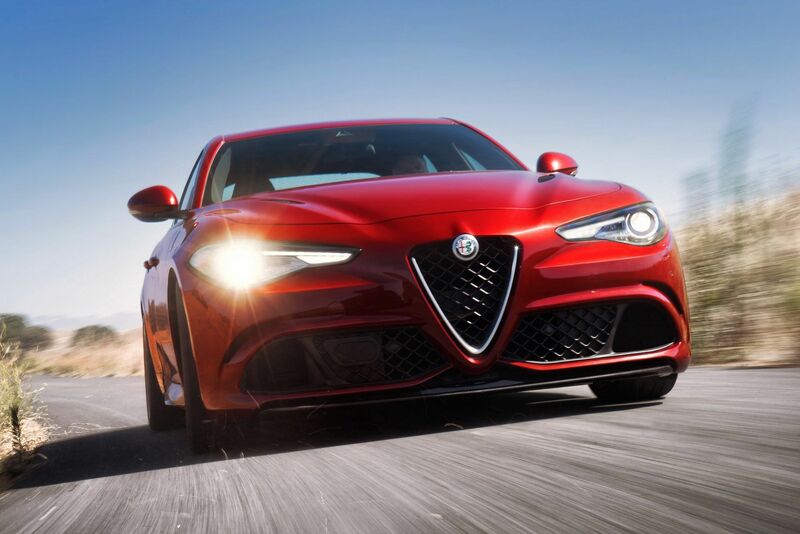 So far, we’ve only gotten the Giulia and Stelvio. Among the missing are two compact models, a flagship sedan and a second crossover. Alfa Romeo’s roadster was also given to Fiat. FCA has been tragically slow in launching new models. Sergio needs replacing! IIRC, I heard he was going to retire before the year is out which would be a good thing. Maybe we can finally get someone who will start adhering to plans they put forth instead of constant delays. The best news of the year! Yeah, the Alfieri. Perfect contender for a Challenger replacement and the Dodge version, AWD/Twin Turbo V6, ….a new Stealth! I own a stock 1992 Twin Turbo…..it just rocks. Kind of perfect too, as they announced a new Viper coming soon too. I wouldn’t hold my breath waiting for a new Viper.. The Alfieri is the only one I am truly sadden not to see. No Avista, no C90, no Alfieri. I just want another desirable coupè to replace my A5 that’s not a C, 4-series or another A5. You’re right but it’s just not the same. It’s almost like FCA don’t have any money. I really notice that Sergio can’t really do multiple model line up, like he can only focus on new model in 1 brand before moving to other brand. What happened with Chrysler? Like there are zero reports about it, I can see it challenge Cadillac or Lincoln with the SUV. Shame that they nothing come out. For Alfa this is all rumors that Roadster is being pushed way back, the next Alfa that we got is probably larger Alfa SUV, Giulia Coupe, Smaller SUV and small cars/roadster at the very last. Sometimes I feel he just used keep money to get Alfa and Maserati back off the ground. He probably was going to use that to pay for some Chrysler hand me downs bout unfortunately Alfa and Maserati are not selling that well. Their too busy taking care of stockholders. Hm. If my neighbor has a Dart that never leaves his yard, does that make it a Lawn Dart? It should be re-named 5 year suggestion. Sergio is the worst CEO in history, just making promises and puting brands with 2 or 3 models, like a lady without teeth. From the concept Alfa Romeo Kamal to the Stelvio took 15 years!!! In the most promising segment in the world, SUVs. Fiat still hasn’t a full linup The Punto has 13 years in the market, 500 has 10. Lancia was killed. Chrysler has 2 models, Maserati an ageing linup. No small cars in USA. I don’t know the shareolders from FCA, but I’m sure that they are not very clever. Actually, i still see many Chrysler and Dodge products on the road here in northern Europe, particularly Voyager minivans, and strangely Calibers and diesel Dodge Nitros. One thing Daimler did well was to expand these brands globally, though some models (like the Sebring) needed to be cut. Lancia and Chrysler should never have been merged, in effect Sergio destroyed both brands. 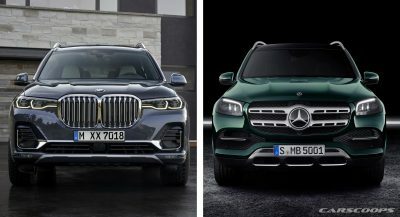 They could have simply sold both from the same showrooms (without the badge engineering), expanding both brand’s footprint. Chrysler buyers just didn’t want an Italian badge on their car, and Lancia buyers didn’t want an American imposter. While of course each European country is different, most country didn’t really fall for Thema (Pathetic), Grand Voyager is received warmly but MPV is a dying category in Europe and 300C is not exactly average people choice over 3/A4/C in Europe. Agreed, most FCA car brands have become toothless, and those gold crowns in Maserati and Alfa mouths aren’t chewing up the competition yet.. It also took them 15 years to get a Maserati SUV from concept to production. The Grand Cherokee is well overdue for an update also. Not according to Fiat’s traditional 10 year plan.. The now defunct Soviet Union.